Thomas Ramette – Suzuki RM-Z450 – 1-1-1 – 1st Overall. 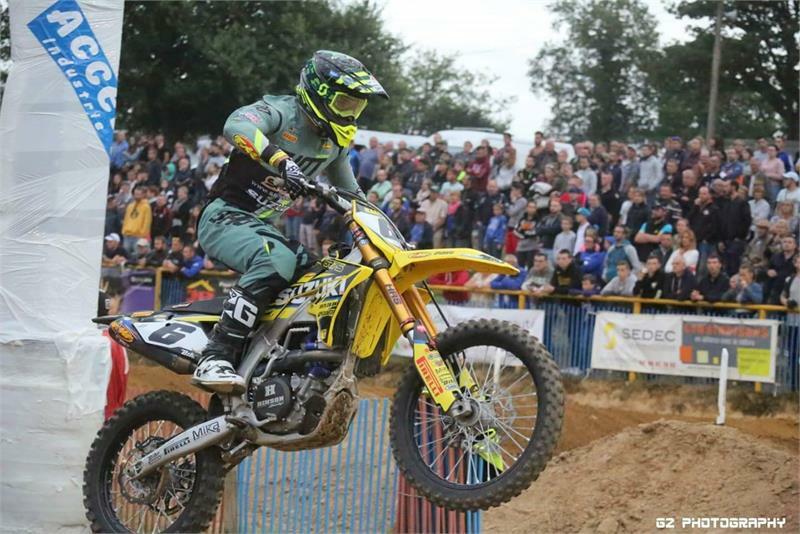 SR75 Suzuki’s Thomas Ramette continued his comeback from a knee injury at the Las Vegas SX in May with three Main Event wins at the Pro Hexis SX Championship in La Bosse-de-Bretagne at the weekend. RM-Z450-mounted Ramette was able to complete his first full week of riding and testing in over two-and-a-half months and his preparation paid off when he dominated the event which follows a three Main Event format. The technical track was a great test for the Frenchman, and after qualifying second, he was unstoppable in all three finals. The next round of the series takes place at Chaumont on August 25th.